This research project by Sam Causer and Carlos Maria Romero was commissioned by the University of Kent School of Architecture (KSA), with funding from the Communities and Culture Network+ (CCN+) whose central aim is to critically understand the digital transformation of communities and culture through practice-based research, community engagement, collaborative projects and empirical research. The CCN+ works with communities to ensure deep and lasting impact, to design needful projects and to better understand the wider social, economic and political issues at stake for the future. Within this structure and building up from the legacy of our 2015 project ‘Blushing Pavilion’, a temporary artistic intervention and exhibition in a Margate seaside shelter, this document presents in full extent the content needed to start understanding the historic seafront landscape in Margate, Kent, stretching 5km along the coast from the railway station to Botany Bay, as a digital-age public space, and re-imagining the existing C19th and early C20th seaside shelters along it as beacons/online activators of community engagement and attraction. The document also offers initial ideas and actions (some already happening, some to take place in September 2016 and some on a longer term) into what could be done to promote such a narrative and the milestones for the possible development of a strategy to make Margate Coastal Park a reality. 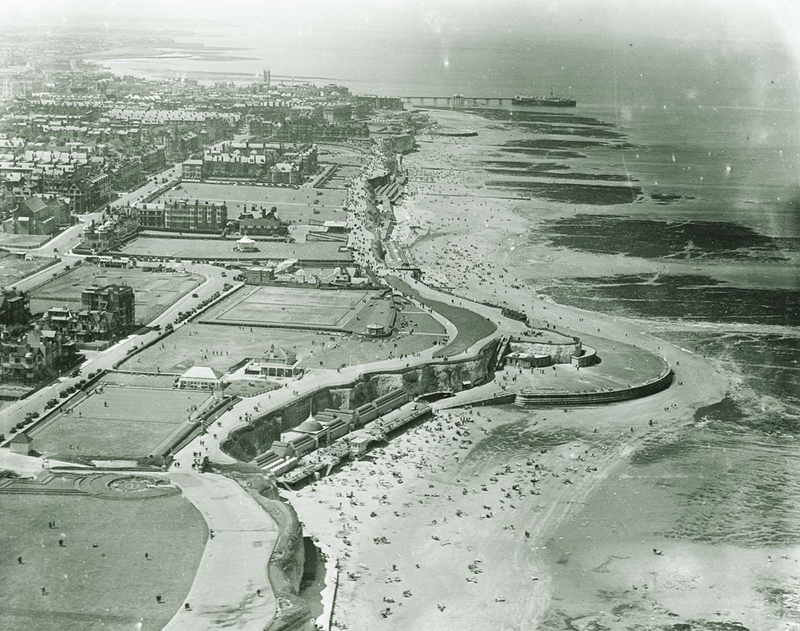 The authors suggest with a base of initial evidence that Margate Coastal Park could potentially foster community cohesion, cultural pride and well-being for a vibrant and diverse community. The analysis also suggests the importance of protecting and fostering Margate’s newly formed creative sector through resilience-building projects as a strategy to maintain the regeneration of the town without gentrifying. Various findings of this analysis suggest too that Margate Coastal Park could contribute to build a sustainable future through the consolidation of the town as a fair and socially progressive cultural destination independent from fair-weather tourism. This analysis puts into practice the knowledge gained during the regeneration which has taken place over the past decade and that was examined in Architectural Digital Activism In Margate and Cliftonville; a first commission by KSA in the frame of CCN+ in which we researched the Margate-based, community-lead, digitally supported activism of that period. This report can be downloaded HERE. To realise the premises of this analysis we also reviewed and considered a number of previous and current reports and efforts to develop integral masterplans/design visions and guidelines for Margate and its seafront including very recent appraisal documents for the designation of Conservation Areas; we interacted closely with Margate Neighbourhood Plan Forum; we talked and consulted several community leaders and key persons, landscape designers and environmental, heritage and tourism officers; we commissioned external historical research and undertook our own including the production of various analytical maps; we commissioned the 3D scanning of the shelters and their surroundings, and we appointed a studio with experience in socially-engaged digital strategies, the creation of community organisations, heritage activism and cultural tourism. You will find all of these topics listed in the sections under the 'Research' tab at the top of this page. Select from the sub-menu to view the different sections. Alternatively, you can download the full analysis document in PDF form by clicking the HERE.